Ann and I watched and enjoyed the DVD version of this movie last week. This review is compliments of a Netflix member who critiqued it as I would. This is a very sweet, sentimental movie about 7 Brits that end up moving to India as they try to figure out what to do with their lives after being dealt various blows (money woes, illness, etc). 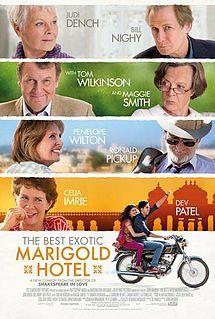 They all end up at the Marigold Hotel which is trying to become a retirement home for "people from countries that don't care about their old people." It's hard to write much more than that without giving away too much! 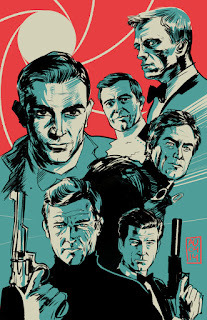 This was a great line up of some of the most beloved British actors! If that is not enough reason to see this film, than the lovely scenes of India certainly are- in my travels there I experienced many of the same things as the characters- especially the scene with the bus! Younger people might not appreciate this film as much as someone closer to retirement but the hopeful message of it's never to late applies to everyone. I do not think that I could have put it better. I throughly enjoyed this movie when I saw it at the show. Looking forward to seeing it again sometime. Thanks Debbie for the comment. I particularly liked Maggie Smith's character.